Many people struggle with the concept of Teshuva. They feel it’s impractical and unattainable. 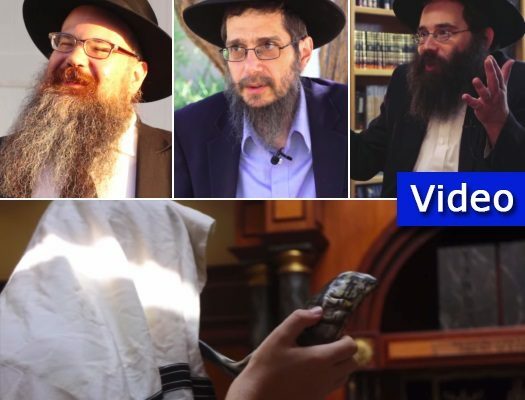 Rabbi Mendy Shapiro, Rabbi Tzvi Freeman and Rabbi Shais Taub break it down into practical and relevant ideas to inspire us all to reconnect to Hashem through Teshuva. Hundreds of Jews began streaming into the yard of the Central Marina Roscha Shul in Moscow in the wee hours of the morning for Kapporos. 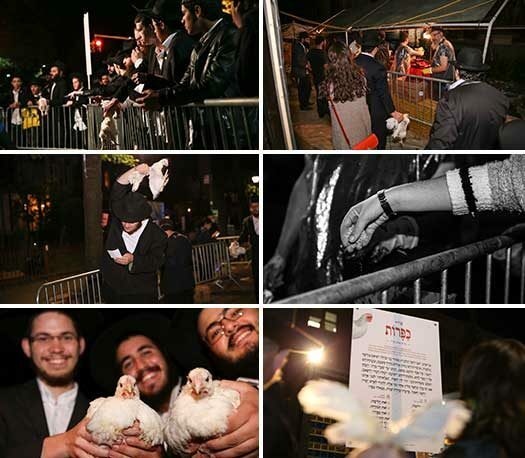 A team of shochtim, who were appointed by the Chief Rabbinate of Russia, awaits them at all hours. 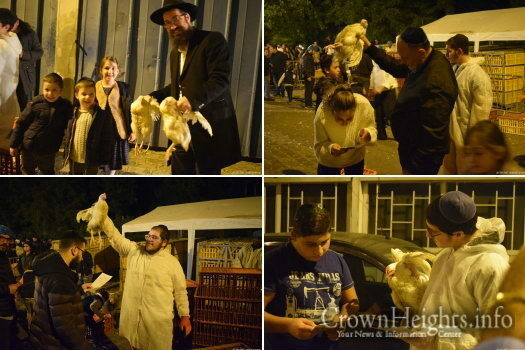 Kapporos was performed by the Lubavitch community of Paris at midnight, with the Shechita undertaken by veteran Shochet Rabbi Levi Sebag. 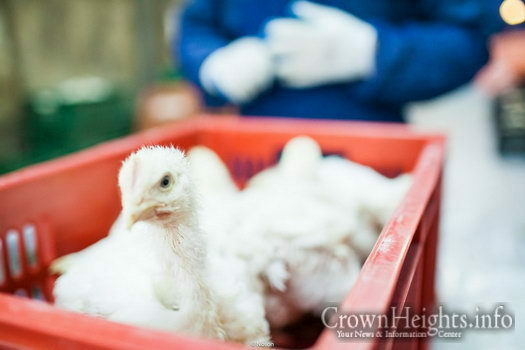 A scandal is roiling the Chabad community in southern Israel after it was discovered today, mere hours after Kapporos ended, that the organizers sold the chickens to an Arab meat-processing plant to be slaughtered and sold as Halal poultry. 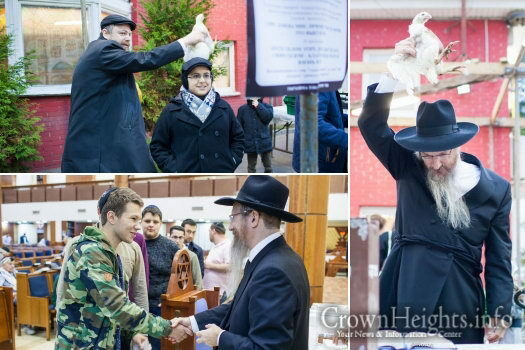 Guests and residents of Crown Heights fulfilled the ancient custom of Kapores in the ‘morning watch’. 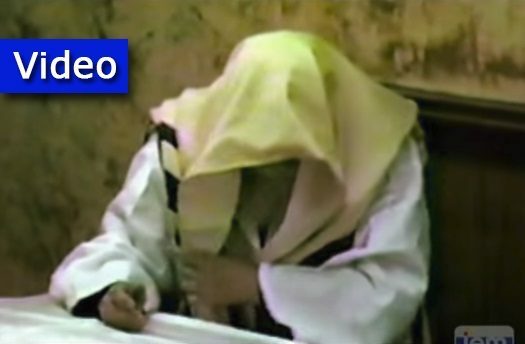 JEM’s daily Rebbe video has been garnering lots of attention today as the Rebbe is heard speaking in English. Addressing an audience from the Machane Israel Development Fund, the Rebbe blesses all Jews around the world to be inscribed and sealed for a sweet new year. 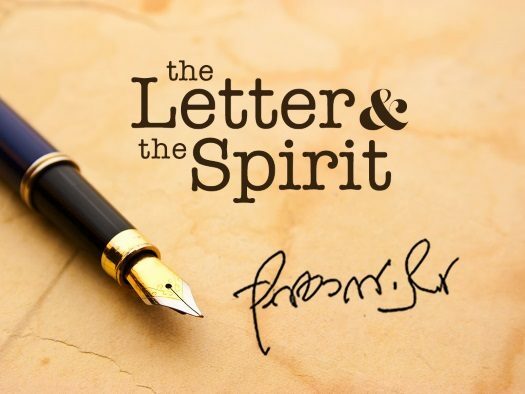 This week, we present a letter from the Rebbe in which he explains the idea of predestination and free will, and how they are compatible with each other — a concept relevant at this time of judgement when Hashem writes and seals our destiny for the year. The letter, written originally in English, is from the archives of the Rebbe’s personal trusted secretary, Rabbi Nissan Mindel. 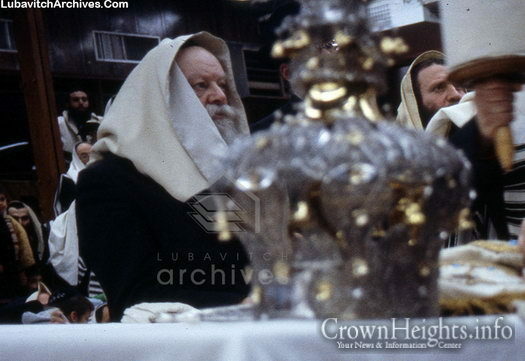 Courtesy of Lubavitch Archives, we present a photo of the Rebbe watching Hagbaah on a fast day, circa mid-1980s. 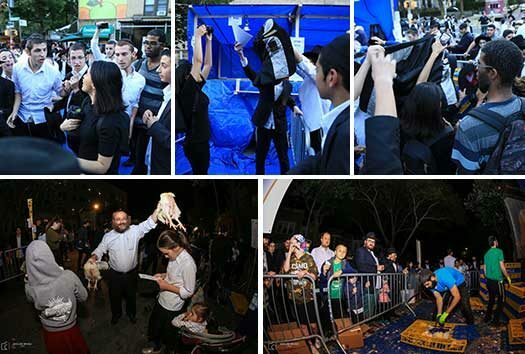 A small number of Kapores protestors arrived in Crown Heights with the intention of interfering with ritual, but a prepared police department quickly put an end to skirmishes. 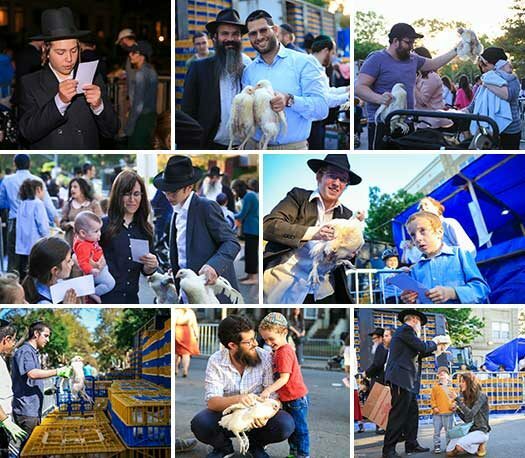 Throughout the evening on Thursday, Jews from all walks of life came to Crown Heights to partake in the custom of Kapores.